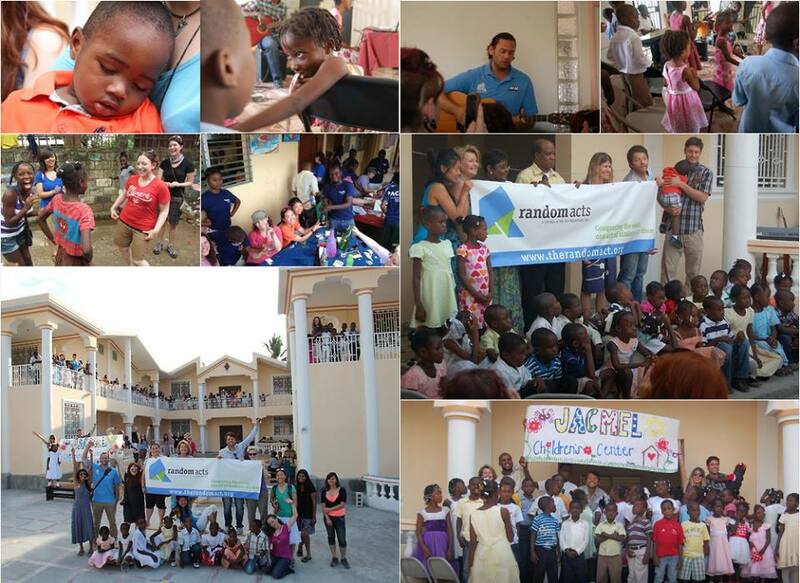 How does anyone describe the experience that is Hope 2 Haiti? I know that the volunteers that have gone to Haiti have difficulty doing so. Other Random Acts staff members that have gone have struggled to wrap the experience up into a single essay. Misha has even expressed his struggle in doing so, and I don’t know that many people that have a better command of the English language than Misha Collins. I think I generally do my English professors proud with my written and oral presentations, but even I fail to find adequate words. Yet, I am compelled rise to the challenge, because the experience should be shared. I will therefore endeavor to give it a good try. What your money has built under the exceptional leadership of Random Act’s Board Member and JCC construction project manager, Philip Schneider, will have a lasting impact to the community of Jacmel for years to come! And well, it will bring a tear to your eyes. When I stand on the JCC property, I don’t just see cement and steel and tile and fine workmanship. I see a safe haven, where children will receive food, medical services, schooling and love; I see a home. You can’t quantify hope, or the promise of a future. You can feel it though! In the smiles, hugs, laughter and joy there is a sense of accomplishment that overwhelms the senses. In Haiti I have an insatiable desire to fix things, solve problems and provide solutions that can’t be fully satisfied, even with a Jacmel Children’s Center. I always leave wanting to stay. The relationships I have forged with the volunteers, staff, Bonite, Gerard, Marlaine, Jacques, Georges, Judy and Lisa by way of this campaign are enriching and inspiring. All of these diverse individuals coming together, focused on a shared goal is the blueprint for a better world and stronger communities. I have found their stories compelling, heart wrenching and intriguing. I laugh with them, work with them, share meals with them, and call them friends. During the 2012 trip, Misha chastised me for describing Random Acts as a smaller 501(c) (3) organization, and rightly so. We are globally known, and have supporters around the world, how many non-profits can say that? But I was correct in my assessment from a revenue standpoint, we don’t have a multimillion dollar budget and that is just fact. Therefore, when a campaign like Hope to Haiti that is individual supporter funded, becomes this successful, my director’s chest just puffs right up. For three straight years this project has exceeded our goals, surpassed our expectations and ultimately completed what it started. I’m proud, in a good way, of that achievement. 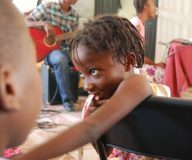 Because of your tenacity, persistence, and unwavering commitment, Jacmel has a Children’s Center. Misha spoke of how this really was a leap of faith between our supporters and Random Acts on this project. We dreamed really big, and you came along. So I guess I’ll end with this, no matter how you contributed; thought, deed, donation or awareness you were vitally important to the success of Hope 2 Haiti. You deserve and have my admiration and appreciation. Thank you for dreaming big too!